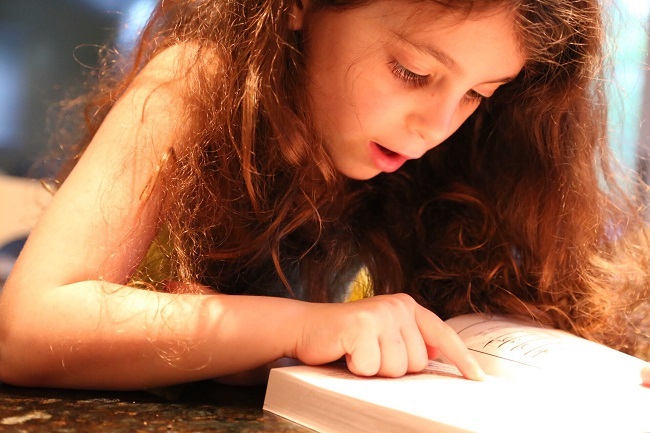 Encourage your child to read a little more at this time of year to celebrate National Reading Month. Children’s imaginations are stimulated by reading about fictitious characters and magical worlds. Whether your little learner is interested in cars and trains or wicked witches and goblins, you can find books about any topic; if you can’t find one, create your own. Another great way to celebrate this month is by writing your own story with your child and then reading it aloud with her. Here’s a template to help you and your little one get started creating her very own story. Talk with her about what each highlighted word means and watch her mind come up with a word to fill in the blank. Once upon a time, there was a(n) ­­­­­animal named, boy’s name. He is number years old and lives in place. Same boy’s name and his friend Sam get together every day of the week and take a walk in the place. The two friends laugh and play fun activity together until it is time to go home. When the day is over, same boy’s name goes home to eat type of food for dinner, with his family. After dinner, he sits in his color chair and reads favorite bedtime story with his family. The End.